"Conservation Strategies is a key partner in our success as a leading national training center consulting group, allowing us to focus on our business, not the details of procurement and logistics. When you work with these guys you get a dedicated team, not just a sales person - they do it all." Duke Elliot, Vice President of Elliott Management Consultants. Conservation Strategies is the premiere supplier of weatherization equipment, diagnostics & supplies. We are a subsidiary of a non-profit weatherization and affordable housing agency, project:HOMES, formed for the specific purpose of supporting weatherization agencies, training centers & professionals. 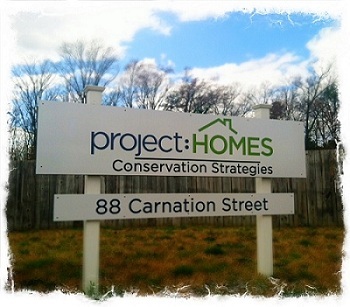 Profits from Conservation Strategies help to support the mission and programs of the project:HOMES organization. We provide everything from basic supplies to high-tech diagnostics, energy audits and lead assessment services to individuals, professionals, government agencies and other organizations. Our years of experience (since 1995) in the industry have given us great insight into the unique needs of weatherization professionals. Click here to learn more about project:HOMES.